Just added this painting to the Trombone History Timeline (16th century). Trastevere is a neighborhood in Rome, and this church is said to be one of the primary landmarks of the area. 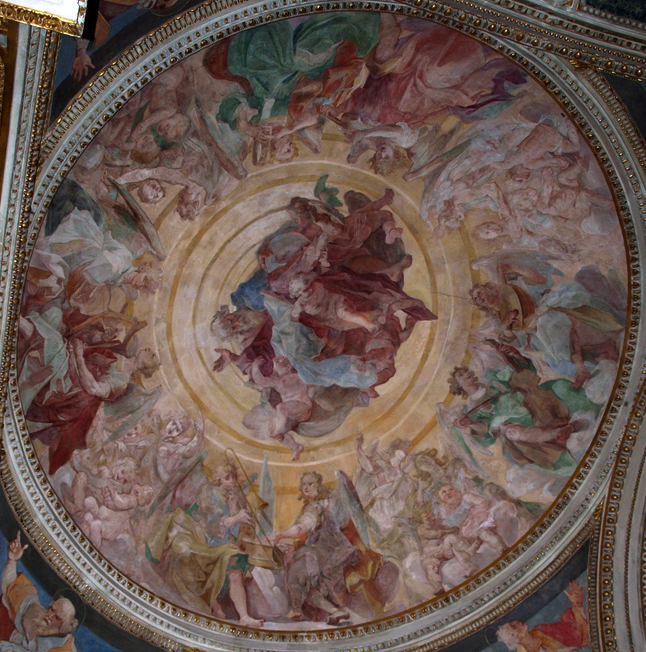 The artist collaborated on paintings in several other churches in Rome, but this painting was the first major project that he carried out on his own. Notice the pairing of instruments. 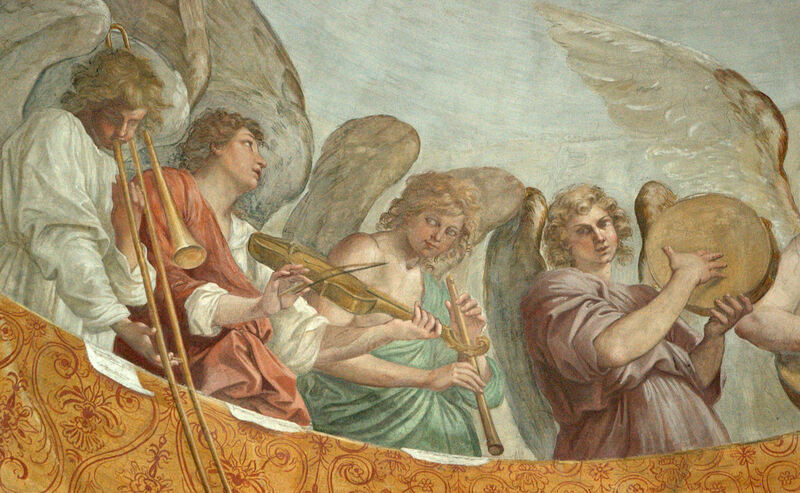 For 45 more historical pictures of angels playing trombone, see Angel Trombonists Throughout History. 1591—Rome, Italy: Artist Ferrau Fenzoni includes an angel playing trombone in a ceiling painting in the chapel of St. Francis in the church of Santa Maria in Trastevere (see lower-middle of below image; public domain) (Schwed, New Drawings by Ferrau Fenzoni).